NIT Sikkim Recruitment 2019: National Institute of Technology, Sikkim / www.nitsikkim.ac.in is conducting recruitment processes to fill new vacant positions. As of now, there is one recruitment drive going on for PhD Admission 2019. 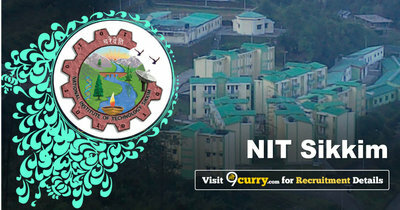 NIT Sikkim Recruitment 2019 - Walk in for Temporary Faculty Posts in NIT Sikkim, Sikkim on Contract Basis. Candidates are invited by National Institute of Technology, Sikkim to attend walk-in-interview to be held on 04 Mar 2019 at 11:00 AM. NIT Sikkim Recruitment 2019 - Job notification for JRF Post on a project entitled Development of Efficient and Secure Content Centric Network (CCN) Architecture with Communication Protocols using Elliptic Curve Cryptography (ECC) in NIT Sikkim, Sikkim. 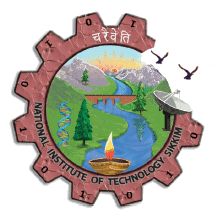 Applications are invited by National Institute of Technology, Sikkim on or before 25 Mar 2019 for 1 vacancy. NIT Sikkim Recruitment 2019 - Job notification for Project Scientist/ RA III & Field Investigators Post on a project entitled “Innovative and sustainable decision support system for drinking water security in Indian Himalayan Region of Sikkim and West Bengal” in NIT Sikkim, Sikkim. Applications are invited by National Institute of Technology, Sikkim on or before 15 Feb 2019 for 3 vacancies. NIT Sikkim Recruitment 2018 - Job notification for Non-Teaching Posts in NIT Sikkim, Sikkim on Contract Basis. Applications are invited by National Institute of Technology, Sikkim on or before 16 Dec 2018 for 4 vacancies. NIT Sikkim Recruitment 2018 - Job notification for Temporary Faculty Posts in Department of Chemistry, NIT Sikkim, Sikkim on Contract Basis. Applications are invited by National Institute of Technology, Sikkim on or before 21 Oct 2018. NIT Sikkim Recruitment 2018 - Job notification for Faculty Posts in Various Department , NIT Sikkim, Sikkim on Regular Basis. Applications are invited by National Institute of Technology, Sikkim on or before 15 Oct 2018 till 05:00 PM. NIT Sikkim Recruitment 2018 - Job notification for Non-Teaching Posts in NIT Sikkim, Sikkim on Deputation Basis and Direct Recruitment Basis. Applications are invited by National Institute of Technology, Sikkim on or before 15 Oct 2018 till 03:00 PM for 6 vacancies. NIT Sikkim Recruitment 2018 - Job notification for Temporary Faculty Posts in Departments of Computer Science and Engineering, Mechanical Engineering and English., NIT Sikkim, Sikkim on Contract Basis. Applications are invited by National Institute of Technology, Sikkim on or before 04 Aug 2018. NIT Sikkim Recruitment 2018 - Job notification for Temporary Faculty Posts in Civil Engineering, Computer Science and Engineering, Electrical & Electronics Engineering, Electronics & Communication Engineering, Mathematics and Physics., NIT Sikkim, South Sikkim on Temporary Basis. Applications are invited by National Institute of Technology, Sikkim on or before 05 Jul 2018.